Music filled the air, while people in well-tailored tuxedos and long flowing gowns meandered through the hallways and top-floor ballroom of the Oregon Convention Center on March 2. 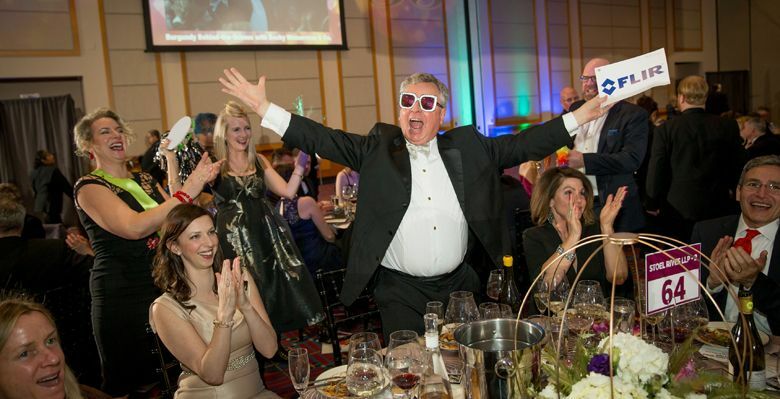 For 35 years, the Classic Wines Auction has raised nearly $50 million for local nonprofits. This success is heightened by the event’s selection as one of Wine Spectator’s Top 10 charity wine auctions in the U.S. for 2018. This year, the celebration featured a chic reception, silent auction, multi-course dinner paired with exceptional wines from around the world, live auction and a fun, lively after-party. 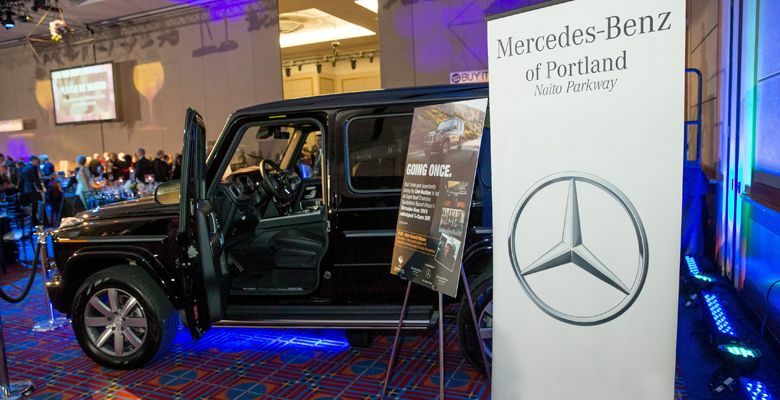 Some 800 guests attended the 2019 affair, which raised a total of $3 million for five local nonprofit partners: Metropolitan Family Services, New Avenues for Youth, Friends of the Children-Portland, YWCA Clark County and Unity Center for Behavioral Health. Throughout the dinner, video interviews played on the overhead screens showcasing how lives were changed through the work of each organization. Before the live auction, guests sipped Champagne and mingled while placing bids on more than 200 silent auction lots consisting of wine tours, concerts, plays, trips and more. Many wines were available for sampling, and several renowned local chefs staffed tables offering delectable appetizers. Music by DJ Short Change added to the festivity of the evening. LoveBomb Go-Go began the dinner and live auction with spirited music and an acrobatic performance. Dinner comprised of four courses led by Chef Allan Wambaa of pacificwild catering. The first three dishes were paired with two or three selections from Burgundy, Napa Valley, Walla Walla Valley and the Willamette Valley. The plates included a jumbo prawn and Dungeness crab tartare, duck breast with pomegranate citrus coulis, lamb osso bucco with risotto and a variety of tasty cakes for dessert. The live auction dazzled with bidders attempting to win 30 lots, including exciting vacations, extraordinary wine trips and a 2019 550 Mercedes-Benz G-Class SUV driven by Seahawk Super Bowl champion quarterback Russell Wilson — see sidebar below for some final bids. These lots brought in exhilarating sums of money, but the success of the Auction belongs to everyone who participated in major and minor ways. Every year, the Auction selects Honorary Wine Ambassadors recognized for their first-class wines. 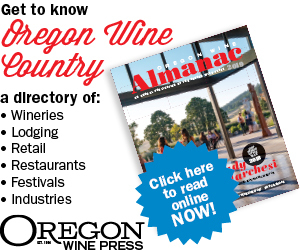 These wineries sponsor a one-of-a-kind experience showcasing their winery while simultaneously representing a handful of the finest wine regions around the world — Cristom Vineyards and 00 Wines represented Oregon. During the after-party, Hit Machine played energetic music into the later night hours while people danced, sipping on nightcaps and savoring chocolate from Moonstruck and treats from the s’mores cart. While the main event is over, there are more opportunities in 2019 to support the nonprofit partners: Spring Winemaker Dinner Series, April 23–25 and 28; Corks + Forks, June 6; and the Fall Winemaker Dinner Series in November. Mercedes-Benz of Portland and Beaverton together donated the special 2019 550, plus a VIP trip for four with a meet-and-greet with Russell Wilson at the Seahawks’ training camp: $157,500. Matt and Jasmin Felton assembled an elaborate trip to Sonoma County: $100,000. Modern Adventure contributed a tour to Rome and Tuscany, including a private meeting with Pope Francis, Michelin-star dinners, etc. : $70,000. Several benefactors collaborated to create a trip to Monaco for the Formula 1 Grand Prix: $70,000. Select donors gave a Northern Lights adventure in Finland that sold twice: $58,000 each. Rombauer Vineyards donated a cruise, airfare, two excursions and more: $16,000.